In early 2015, Campari approached Kristin Donnelly, co-founder of small-batch lip balm manufacturer Stewart & Claire, with an intriguing proposition. The Italian spirits giant wanted her to produce a Negroni-flavored product for them. But by combining a few essential oils—from jojoba, Peru balsam, gentian root, sweet and bitter oranges and, of course, juniper—she eventually created something that smelled a lot like the of-the-moment cocktail. Campari had intended to simply use the lip balm as a giveaway during that summer’s annual Negroni Week, but Donnelly realized the product had staying power and began offering it to her customers. Three years later, it’s still Stewart & Claire’s best-seller. But Negroni-flavored lip balm is just the tip of the iceberg. Today there are Negroni donuts, Negroni ice creams, Negroni lollipops, Negroni pizzas, Negroni beers and even Negroni salt. These products are sold in suburban malls, coastal hipster boutiques and on Amazon. More than any other cocktail, the Negroni has transcended the drinks arena to become a flavor unto itself. In 2013, the same year that Campari and Imbibe launched their inaugural Negroni Week, dishes inspired by the bittersweet Italian cocktail began popping up. That July, the first article on the phenomenon appeared in the Bay Area’s 7X7, which claimed Campari had “found a new home on plates and in kitchens throughout the city,” citing several dishes, including Perbacco’s Negroni caramel popcorn. “Cocktails work well because they are sugar-based to begin with, so it’s no great stretch to translate that flavor into dessert form,” explains Keavy Landreth, co-founder of Butter & Scotch. Her Negroni pie has a custard base made with equal parts gin, Campari and sweet vermouth which she claims is balanced by its savory all-butter crust. The incredible buzz it generated on social media eventually helped Landreth and her partner open a brick-and-mortar shop in Crown Heights in 2015. If many of these Negroni items appeared organically early on, by then Campari was heavily promoting the emerging “trend” to writers. (I must admit I wrote about this new wave of Negroni foods for Esquire that very summer.) That year Campari’s PR team asked Manhattan’s The Doughnut Project if they could produce Negroni donuts, while Tipsy Scoop, an alcoholic ice cream maker, was asked to produce a Grapefruit Negroni Creamsicle flavor. It wasn’t just desserts either. Tony’s Pizza Napoletana in San Francisco started offering a Negroni-esque pizza as early as 2011, which included a Campari and blood orange reduction as the sauce base. Oregon’s Jacobsen Salt Co. created a Negroni salt that combined mineral salt with juniper berries, orange peel and Campari. The Negroni even spread to other beverages with Colorado’s New Belgium and several other breweries creating Negroni beers. It’s easy to think this onslaught of Negroni items only exists due to a brand’s marketing ploy. But, if it was so simple to go viral, why wouldn’t, I don’t know, Gosling’s make a push for Dark ‘n’ Stormy pies? Or Galliano try to infect the world with Harvey Wallbanger cupcakes? Even as both Campari and Imbibe have slowed down on commissioning and promoting Negroni spin-off items, new ones have continued to emerge while the original ones show real staying power. Of course, other cocktails have indeed been tackled by the food world. 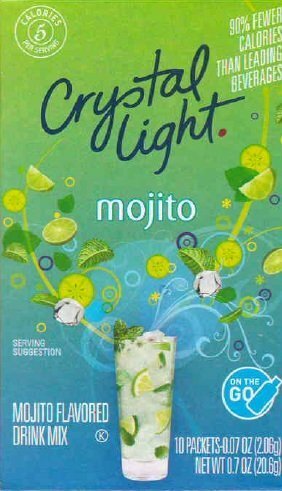 The much-maligned Mojito had a bit of a moment outside the cocktail world in the late aughts, though it always appeared in distinctly more white-bread settings—“lo-cal” powdered drink mixes, as frozen dinners, on chain restaurant menus and especially in the form of grilling rubs and marinades. These items weren’t really a comestible analogue for the rum cocktail; they were just minty and citrusy and vaguely “Cuban,” piggybacking on the popularity of the cocktail’s name. Thankfully, most of those products have been discontinued by now. Ultimately, it’s not merely flavor profile that has allowed the Negroni to reign supreme outside the bar scene. 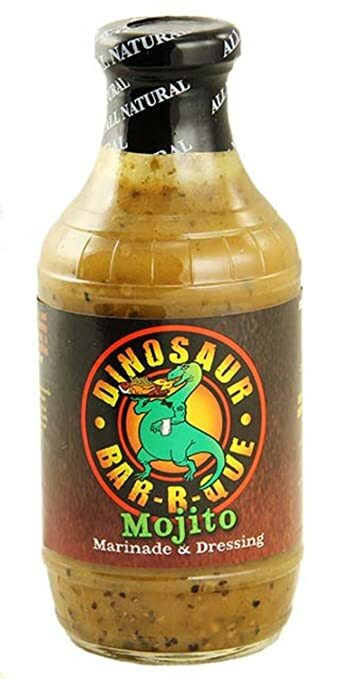 Its name alone carries a certain mystique; evocative, but not just of one thing, it allows the cocktail to shapeshift into new forms without losing its essential charm.